Computer keyboards are everywhere in healthcare facilities. Today, smarter prevention and control of hospital-acquired infections (HAI�s) are driving the need for an infection-control keyboard: a new generation designed specifically for medical enviroments. Typical healthcare keyboards have many users, so cross-contamination from and to patients result in fatal consequences - particularly if the transient bacteria such a methicillin-resistant Staphylococcus aureus (MRSA) exist. Strong arguments for improved infection-control methodology are evident where computer keyboards collect bacteria and require attention to maintain cleanliness. Esterline Advanced Input Systems has developed a smart infection-control keyboard that helps monitor its own cleaning status to safeguard both patients and staff. 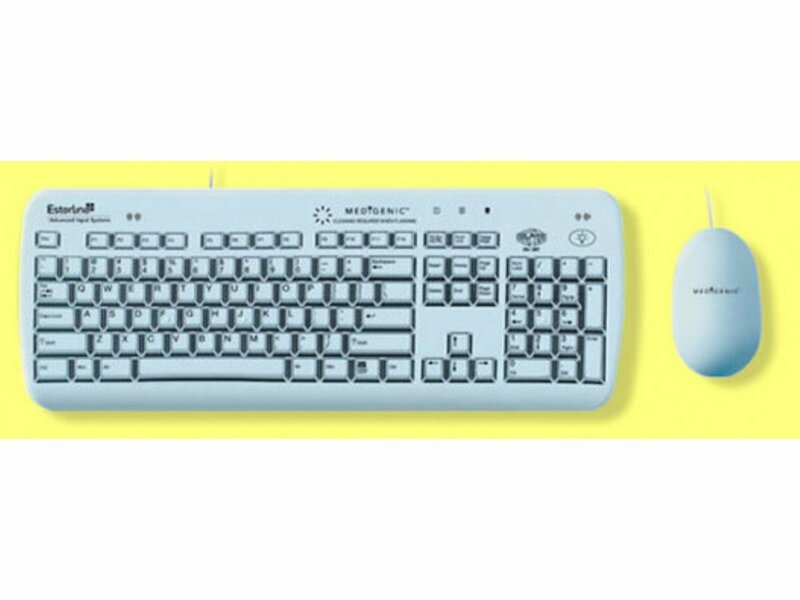 The Medigenic keyboard�s flat design quickly wipes clean with hospital-grade disinfectants. Users can touch-type easily due to the excellent tactile key response.